I’m sitting here looking at my desk at the casa and all I can ask is, “How does it get this messy so quickly?” I guess junk mail is the majority of it (and mess is relative to any given person. Mine is just cluttered, not exactly “messy.”) And the good Lord knows that I have no intention of letting my desk look like mother’s kitchen table. Heavens that would be bad… I tend to be a pack-rat and I can probably justify most of the stuff I have kept throughout the years; however, the older I get and the worse mother’s hoarding gets pushes me to the other extreme and I’ve started throwing out a bunch of stuff. If you are wanting to know the difference between hoarding and collecting, there’s a pretty observable definition. 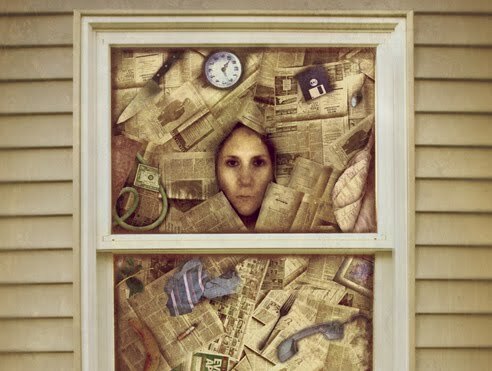 Hoarding is when the items collected intrude on the living conditions, lifestyle and ability to use areas of the home for their intended purpose. For example, when you are sleeping on the couch or in a chair because you can’t make it to your bed, you are a hoarder. Another example is when you are eating off a tv tray in the bedroom because the dining room and kitchen table are covered with stuff, you are a hoarder. If the quality of the air you breath is diminished and you don’t even realize it because you are in the stench all the time, you are a hoarder. If you are keeping random items long after the use they were intended for, then you are a hoarder. I’m not saying all of these things apply to my mother, but I can honestly say that she does have a problem. With this being said, now is a good time for Life Lesson #22 Cleanliness is next to godliness. 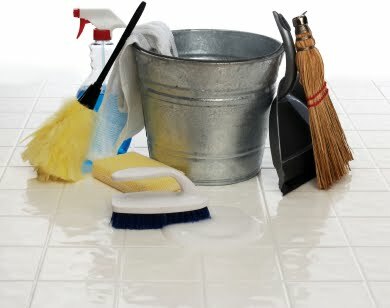 It’s an old expression, but in case you were looking for some motivation to actually clean up the casa, here’s a list to help you get motivated. 1) Insects. The cleaner you keep your room the less likely that there are creepy crawlies hiding in corners, in your shoes, or otherwise populating a space that should be yours alone. 2) Cleaner rooms are healthier rooms. A lot of people are allergic to dust mites or dust itself. It’s bad enough that your messy decor might be making you sick, but if your room is literally making you sick that can lead to feeling awful and possibly preoccupying your immune system so when a cold or flu bug comes your way, you might be too run down to fight it off as well as you otherwise would. 3) When you can find all of your clothes, and they are clean and neatly put away, you can actually wear all of them and vary your wardrobe, which is very cool. This can prevent you from getting bored with your stuff, and even better, prevent you from wasting money on stuff you already have. 5) Pride. If you have a messy room / house, when you have company over they may tell their friends. They may also say something if your room / house smells bad. When friends and family come to call, they don’t want to trip over anything, break anything, or sit there with a hankie covering their face because your room smells like decomposing food, old gym shorts, wet dog or what have you. And a final note taken slightly out of context, the Bible also promotes keeping things clean. This also includes our bodies and our spirits. When an evil spirit comes out of a man, it goes through arid places seeking rest and does not find it. Then it says, ‘I will return to the house I left.’Luke 11:25. and the rest of the story at Matthew 12:44 When it arrives, it finds the house unoccupied, swept clean and put in order. Feeding the Spirit #22 “May the God of peace… equip you with everything good for doing his will, and may he work in us what is pleasing to him, through Jesus Christ, to whom be glory for ever and ever. Amen” (Hebrews 13:20-21).